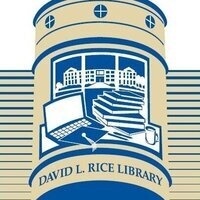 David L. Rice Library is proud to announce that there will be three Head of Reference Services candidates on campus Monday, December 10, 11 and 12. Each candidate will be giving a presentation in LAB A, located on the first floor. We encourage everyone to attend our candidates presentations and any feedback you may have will be important to our search committee.